Uninstall all ubot (some time it duplicate install). 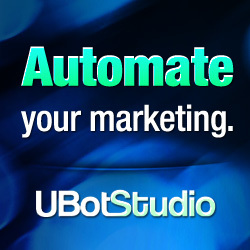 Remove ubot option file (Press key “WIN+R” enter “%appdata%\Ubot Studio”) remove file “options.xml”. Install Microsoft .NET Framework V4.5.2 or higher. Install Visual C++ Redistributable 2013-2015. Uninstall some your install software on your computer. Ubot Studio Compile Not Work. Check necessary file (Press key “WIN+R” enter “%appdata%\Ubot Studio\Browser”) see your ubot version. Create blank bot and non select any plugin and try compile. Create blank bot and try compile. Crash when start the program. Crash when used over a period of time. Avoid the use of commands ” save element image”, ” save browser image ” or any command use image . if you use CCleaner add exception chrome process.